Firefighting crews from the Overland Park Fire Department and Consolidated Fire District No. 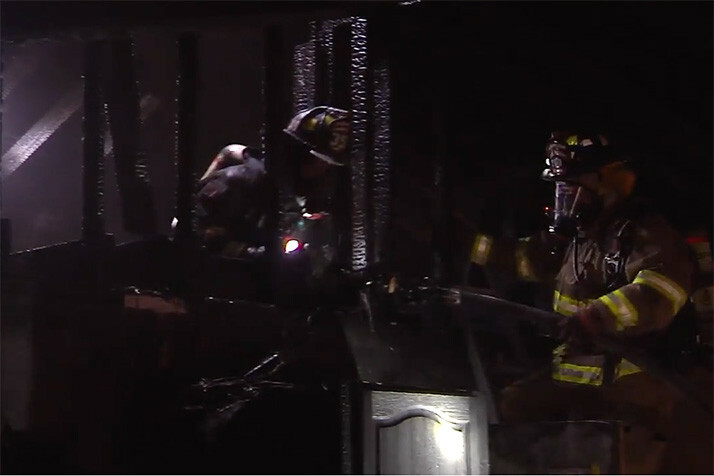 2 this morning extinguished a fire that had broken out in a home in northern Overland Park that appears to be under renovation. Overland Park Fire Department Media Manager Jason Rhodes reports that the first units on the scene to the call in the 6000 block of Robinson Street found smoke coming out of the single story home around 9 a.m. Neighbors told investigators that the home is currently vacant and being remodeled. Preliminary reports indicate that the fire started in the living room and spread up to the attic, which was exposed. Crews had the fire under control quickly. No one was in the structure at the time of the blaze. The homeowner has been contacted and informed about the incident. Rhodes said the home has suffered significant smoke and fire damage in the living area and attic. The cause has not been determined.